As Managing Director of RXR’s New York City division and an Executive Vice President of RXR Realty, William Elder is responsible for the oversight and management of the company’s New York City office portfolio. When RXR decided to return to New York City in 2010, they tapped Mr. Elder to help it reestablish a local operating platform and seek additional investments in Manhattan with his broad market knowledge and acumen. Since joining the firm, he has helped steer RXR on an aggressive post-recession expansion with acquisitions including the iconic Starrett-Lehigh Building in West Chelsea, one of Manhattan’s 10 largest of- fice buildings, housing some 5,000 employees in 2.5 million square feet. Other strategic acquisitions of statement properties followed, including 450 Lexington Avenue, 237 Park Avenue and 75 Rockefeller Plaza. In less than four years, RXR’s portfolio has grown from 1.5 million to more than 10 million square feet of commercial office space, encompassing the trophy property 1330 Avenue of the Americas, 340 Madison Avenue, 620 Avenue of the Americas and numerous others. Not only has the firm gained a reputation for being a voracious buyer of major office buildings in the city at a steep discount to replacement cost, but it is also known as a highly skilled operator able to unlock hidden value in a property. Mr. Elder joined RXR after working with RXR’s senior management in expanding and managing Reckson Associates Realty Corp.’s six-building, 5.5 million-square-foot New York City portfolio. When Reckson was sold to SL Green Realty Corp. in 2007, Mr. Elder joined SL Green in a senior management role. Mr. Elder began his real estate career at Shorenstein Company where he spent over 15 years, ultimately running the leasing division on the East Coast. Mr. Elder also previously served as Senior Managing Director in the Strategic Agency Services group at Cushman & Wakefield. Mr. Elder holds a BS from Wagner College and is a board member of the East Side House Settlement, an educationally focused charity located in the Mott Haven section of the Bronx. He is also a member of the Real Estate Board of New York and is also very active in The Friends of The Highline and Friends of Hudson River Park. Mr. Elder resides in Bronxville, New York with his wife Katie and three daughters Peyton, Grayson and Eliza. As President of the New York Region for JLL, Peter Riguardi leads all operations for the company in, the New York, New Jersey and Connecticut area, overseeing approximately 1,700 professionals in ten offices. He is responsible for broadening the company’s New York platform by developing key client relationships, leading major projects, maintaining senior real estate industry contacts and political relationships, and recruiting new talent. Under Mr. Riguardi’s leadership, JLL has established itself as a market leader in the New York metropolitan area, and the company’s market share, revenue and profitability have all increased substantially. Mr. Riguardi developed and implemented a program to expand the New York Leasing and Brokerage Business and Investment Sales Team, which included attracting top talent from the industry and combining it with the company’s strong base to form a market leadership team. 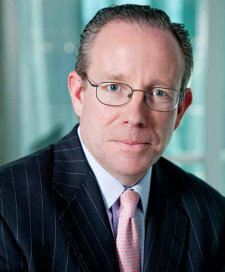 As a leading New York City broker for more than 25 years, Mr. Riguardi has completed some of New York City’s largest transactions for its most noteworthy entities including: Morgan Stanley; Bank of America; MetLife; Jet Blue; General Motors Corporation; Merrill Lynch; Paul, Weiss, Rifkind; Wharton & Garrison; BBDO; UBS; and the Metropolitan Transportation Authority. 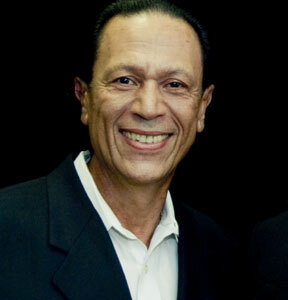 He has served as an advisor in the redevelopment of the World Trade Center. Ranked by the New York Observer as one of New York’s most influential real estate executives, Mr. Riguardi serves on the Board of Governors for The Real Estate Board of New York and is an active member of the organization’s senior leadership. He is also President of American Friends of Rabin Medical Center of Israel and is a member of The Partnership for the City of New York. Prior to joining JLL in September 2002, Mr. Riguardi was Vice Chairman and Principal of Colliers ABR Inc., a company that he helped form in 1994. He started his real estate career at GVA Williams in 1983, where he was the youngest Senior Vice President in the firm’s history. Mr. Riguardi holds degrees in marketing and finance from Iona College. He is a member of the Iona College Board of Trustees. Steven J. Pozycki is founder, Chairman and CEO of SJP Properties, a privately held commercial real estate development, investment and management organization headquartered in Parsippany, N.J. Under Mr. Pozycki's leadership, SJP Properties has established itself as one of the leading developers of Class A office and luxury residential properties in the New York/New Jersey metropolitan. He has an exceptional reputation with corporations, institutional lenders and investors and excels in every facet of commercial real estate. Mr. Pozycki started his career at MetLife in the mid-1970s, and from 1978 and 1981, worked with Equitable Life Insurance, after which he served as Regional Partner with Lincoln Property Company. 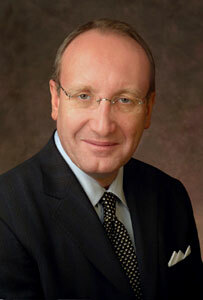 Mr. Pozycki formed SJP Properties in 1981. Initial development projects included corporate build-to-suits as well as speculative developments. SJP developed the corporate headquarters for Engelhard Corporation in Metropark, N.J., the western hemisphere headquarters for Brother International, and the North American headquarters for Aventis in Bridgewater, NJ. In the early 2000s, SJP developed the 1,100,000-square-foot Waterfront Corporate Center I and II in Hoboken, N.J., which serves as the headquarters facilities for John Wiley and Sons and Marsh & McLennan. In 2004, SJP Properties entered the New York marketplace and now has completed $2 billion of development projects, including 11 Times Square, a 1.1 million-square-foot commercial and retail tower; 45 Park Avenue, a 21-story luxury condominium building; and The Platinum, a 42-story building near Times Square at Eighth Avenue and West 46th Street. Steve is also very active in a number of civic and charitable organizations. He serves as a member of the Council of Trustees of The New Jersey Performing Arts Center and as Chairman of the Development Committee for the Center of Civic Responsibility. He was also a member of former NJ Governor Corzine's Real Estate Advisory Board. In the field of education, Steve is a member of the Board of Trustees of Monmouth University and a member of the Executive Advisory Board of Monmouth University's Real Estate Institute, which has also honored him with its annual "Leadership Excellence Award." In addition, Steve has been a strong advocate and supporter of numerous organizations that serve the physically and developmentally challenged members of the local community. And, of course, he has provided much appreciated support to the Andrew Glover Youth Program. Robert Ivanhoe is a preeminent and renowned real estate attorney in New York City and has been practicing law for more than 25 years. He is the Chairman of the New York office of Greenberg Traurig LLP and Chair of the Global Real Estate Practice which was honored by Chambers with the prestigious 2010 USA Award for Excellence in Real Estate. Mr. Ivanhoe is a member of many prominent professional and civic organizations and serves as a Member of the American College of Real Estate Lawyers, the Urban Land Institute, and is on the Advisory Boards of the Stoler Report and The Bureau of National Affairs Real Estate & Law Report. He sits on the Executive Committee of the Albert Einstein College of Medicine, the Real Estate Lawyers Division of the UJA Federation, and the Real Estate Division of Israel Bonds. A graduate of American University Washington College of Law in 1978 and author of multiple articles, Mr. Ivanhoe's accolades include listings in Best Lawyers of America, Who's Who Legal — The International Who's Who of Business Lawyers, a top 100 listing in "New York Super Lawyers," in Super Lawyers Magazine, and in Chambers & Partners USA Guide, an annual listing of the leading business lawyers and law firms in the world as well as the New York Post, The New York Observer, Real Estate New York, and Real Estate Weekly. He has represented numerous nationally-recognized owner/developer and institutional lender/investor clients domestically and internationally. 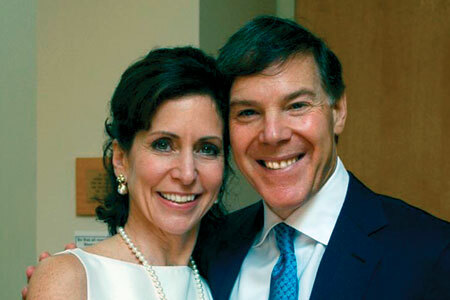 Mr. Ivanhoe and his wife Anne live in Greenwich, Connecticut and are active in many community activities there, in addition to lending support to the Andrew Glover Youth Program. Mr. Ivanhoe received the 2006 Humanitarian Award from the Hebrew Academy of Special Children (HASC), was honored by The American Friends of Rabin Medical Center in 2008, and was honored by the Real Estate and Construction Council at Lincoln Center in 2010. "In the late 1970s, I had no idea what an amazing path was before me. It was a time when poverty and crime were so bad on the Lower East Side that many New Yorkers were afraid to travel east of First Avenue. I had grown up on the Lower East Side and was working alongside the founder of the Andrew Glover Youth Program, Bob Siegel. I strongly believed in Glover's method of rehabilitating criminally active youth by providing them with role modeling, counseling and community supervision. When we believed that a youth had the heart and capacity to change, we went into courtrooms and asked that he or she be assigned to the Glover Program. But I was also eager to escape the neighborhood to fulfill my own dreams of playing professional golf. So that was my plan – until Bob passed away unexpectedly in 1979, and it appeared the Glover Program's future might be in jeopardy. At that point, I made what I thought was a sacrifice. I stayed. But gradually I began to realize that this work is not a sacrifice – it's a privilege. For more than three decades, my staff and I have had the privilege of not just keeping the Glover Program's doors open, but of opening new ones over the years. At first we operated out of my living room, then moved in 1980 into what was literally a closet in the Manhattan Criminal Courthouse building, and finally into our current donated offices there. In 1983 a major dream came true – thanks to many generous donors, we purchased and renovated a building on the Lower East Side – the Robert Siegel Youth Center – and ended up with no mortgage. Our vision began to impact justice systems nationwide when, in 1996, we helped create the Manhattan Criminal Court's Youth Part that separates youth at intake from hardened adult criminals. And in 1998, we expanded our work into East Harlem, a neighborhood that continues to have one of the city's highest incarceration rates for youth. And we continue to this day to dedicate ourselves to changing the lives of New York City youth by keeping them out of prison." Stephen Siegel is widely regarded in commercial real estate circles as one of the industry's most talented and prolific professionals. He was involved with CBRE, amassing over $224.6 billion in global sales and leasing transactions in 2006, nearly three times that of its nearest competitor. As Insignia-ESG's chairman and CEO preceding its merger with CBRE, Siegel master-minded the firm's growth nationwide and in Europe, Latin America and Asia. He also managed a group that co-invested approximately $2 billion in U.S. office, residential, hotel, and retail real estate portfolios. In 2003, Crain's New York Business named him "One of the 100 Most Influential Business Leaders in New York City." Mr. Siegel is recognized as much for his generosity and contributions to the quality of life in New York as he is for his dedication to the business community and economic vitality of the City. He provides leadership on numerous boards and councils. He has been president of the Board of American Friends of Rabin Medical Center and General Chairman of the Association for the Help of Retarded Children, Trustee of the Intrepid Museum Foundation, National Trustee Chair of the National Jewish Center for Immunology and Respiratory Medicine, and has sat on the Advisory Board of Baruch College's Steven L. Newman Real Estate Institute and on the Business Leadership Council of the City University of New York. He has served on the Board of Directors of the Lower East Side Tenement Museum, Liberty Property Trust, Greater New York Council of the Boy Scouts of America, and City Center 55th Street Theater Foundation. Mr. Siegel previously served on the Boards of the Benjamin N. Cardozo School of Law, the Foundation for Fighting Blindness, the YMCA and the Children's Blood Foundation, as well as on the New York Administrative Committee of Fleet Boston Financial Bank. He has received honorary doctorate degrees from Monmouth University, St. Thomas Aquinas College and Baruch College, and been honored by the Young Men's/Women's Real Estate Association, REBNY, Appraisal Institute, Garden State Ballet, Special Olympics New York, The Jeffrey Modell Foundation, Israel Cancer Research Fund, Albert Einstein College of Medicine National Conference of Christians and Jews, the United Jewish Appeal, the Lower East Side Tenement Museum and the Rabin Medical Center. Specific awards include the American Jewish Committee's 2007 Real Estate Division National Human Relations Award; Israel Bonds' Real Estate and Construction Division's 2007 Israel Peace Medal for his leadership in building Israel's economy through the Israel Bonds program; three awards from the Real Estate Board of New York — including 2006 Most Creative Retail Deal of the Year Award, 2004 inaugural Edward S. Gordon Memorial Award, and 2003 Henry Hart Rice Achievement Award for the Most Ingenious Deal of the Year; Honoree at the Parker Jewish Institute's annual dinner dance and celebrity auction in 2003; The Crohn's & Colitis Foundation "Man of the Year Award in 2002; National Ethnic Coalition of Organizations' Ellis Island Medal of Honor in 2002; Commercial Property News' 2004 Lifetime Achievement Award and five-time winner of the Brokerage Executive of the Year Award; Monmouth University Real Estate Institute's Leadership Excellence Award in 2001; New York University Real Estate Institute's Urban Leadership Award in 2000; AHRC-NYC's "Stephen B. Siegel Adult Day Care Center (located in Fulton Landing, NY); inducted into the group's Hall of Honor in 1999; The Foundation Fighting Blindness Humanitarian Award in 1999; and St. Thomas Aquinas College, Commercial Science commencement 2007. The Andrew Glover Youth Program is honored bestow our award on someone who has done so much for so many. As the executive in charge of the global real estate services firm, which has 11,000 employees, and 189 offices in 57 countries, Mr. Mosler has expanded Cushman & Wakefield's global quality services delivery through the acquisitions of Stiles & Riabokobylko, Russia's largest real estate services firm, and Royal LePage, Canada's leading real estate services firm. The two longtime Cushman & Wakefield partners were acquired in 2005, adding 520 employees and the highest per brokerage professional production in Canada, and more than 100 employees in Russia. Mr. Mosler has also overseen the growth and expansion of the Cushman & Wakefield Capital Markets Group, which includes the number one-ranked national office Investment Sales practice, the nationally top ranked Valuation Group, and the Cushman & Wakefield Net Lease Trust, Inc., a private real estate investment trust that will purchase and finance the real estate of unrated or non-investment grade companies. As a result of his bold and successful initiatives, Mr. Mosler was chosen in a 2004 poll of his peers as the Commercial Property News "Brokerage Executive of the Year," an honor he repeated in 2005. 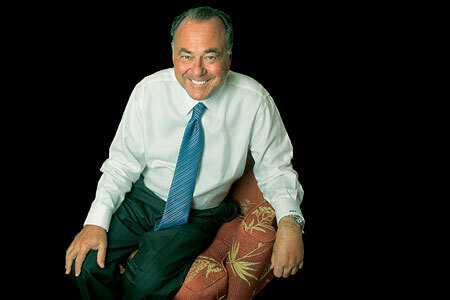 In March 2002, CPN named Mr. Mosler as national "Property Services Executive of the Year." One of Cushman & Wakefield's corporate values is "citizenship: commitment to the communities in which we live and work." Mr. Mosler, who has volunteered for many organizations, embodies this value. In 2003, the Real Estate Board of New York presented Mr. Mosler with its annual Kenneth R. Gerrety Humanitarian Award for his significant service to the community. In addition, he has been honored by: The Achilles Track Club; Big Brothers/Big Sisters Foundation for Fighting Blindness; Boy Scouts of America; Inside Broadway; Intrepid Air & Space Museum – Salute to Freedom; Lincoln Center Real Estate & Construction Council; Modell Foundation; New York Cares; New York Police and Fire Widow's and Children's Benefit Fund, Parker Jewish Hospital, and the United Way-NFL Partnership. 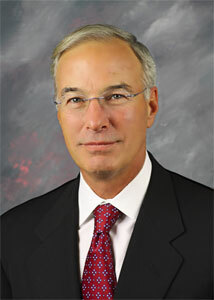 Mr. Mosler is on the Capital Campaign Committee of the American Cancer Society and he is a member of the Board of the following organizations: Achilles Track Club; Fisher Center for Alzheimer's Research Foundation; Fuqua Business School – Duke University; Intrepid Board of Directors; Intrepid Museum; Modell Foundation, and the Real Estate Board of New York. We honor him for his support of the Andrew Glover Youth Program. John McEnroe embodies the American spirit. His relentless pursuit of perfection combined with a technical mastery of the game of tennis has made him a popular champion and a tennis legend. In 1978, John reached the Wimbledon semifinals when he was just 18 years old. Within three years he became the youngest man in the history of professional tennis to rank No. 1 when he won his first of three Wimbledon singles titles. To date he has attained more than 150 singles and doubles titles, including seven Grand Slam Singles Championships, ten Grand Slam Doubles Championships, and five US Davis Cup Championships. In 1999, he was inducted into the International Tennis Hall of Fame. Competing on the court may be John's passion, but it is by no means his only interest. John's knowledge of the game and magnetic personality have made him a hit as a network television commentator; he has offered his insights and unique style for CBS, NBC, USA, and the BBC. But the reason we have honored John McEnroe is for his commitment to New York City. For many years, John has mixed his tennis career with philanthropy, playing in selected tournaments to raise funds for needy causes. In 1986, John founded the John McEnroe Foundation, and he and his wife Patty Smythe are both actively involved in the foundation's extensive charitable work, providing significant support to numerous charities including the Robin Hood Relief Fund, Habitat for Humanity, Ladder Company 25 FDNY, Riverkeeper, the What to Expect Foundation, the Neo-natal Critical Care Unit at Lenox Hill Hospital, the Cheering Children, the UFA Widows Fund, and of course, the Andrew Glover Youth Program. John was actively involved in supporting the work of the Safe Passage Foundation, founded by the late Arthur Ashe, which gives tennis instruction and counseling to 6,000 inner city youths. A concerned and loving parent dedicated to his six children, John McEnroe is a role model on many fronts. We appreciate John's values and leadership in all arenas and salute his efforts to help make New York City a better place for all New Yorkers to live.